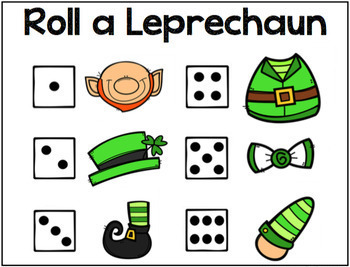 St. Patrick's Day Speech Therapy Bundle! 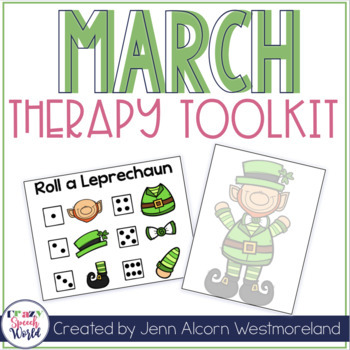 Therapy Toolkit Bundle for Speech and Language! 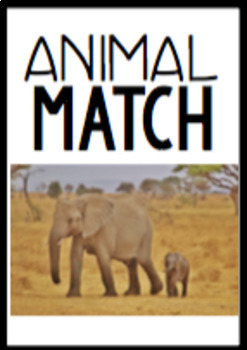 Read Across America, weather, St. Patrick's Day, and baby animals are the themes covered in this download, which is a toolbox of material for you for the month! This download has you covered for 8 whole sessions (or more!) of speech therapy, centered around the themes happening in March. ALL of the activities are open ended to allow you the flexibility to address as many goals as necessary in your therapy groups! Each activity includes photos, preparation instructions, and suggestions for use. "This is so great, and I can't wait to use it! I especially love the actual pictures for the animals. Thank you!" 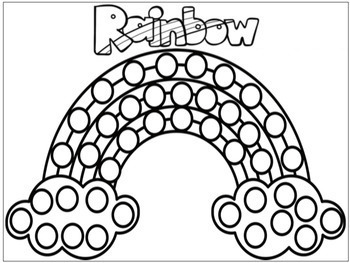 "Fun and engaging activities for students." I hope you find this helpful this school year! Thanks for visiting! Please follow my store to get new product updates! Come by my blog and on Facebook to get more ideas for your Crazy Speech World!